Frosted Set to Ice PA Derby Field: Seconditis refers to when a racehorse habitually takes the runner-up position. Godolphin Racing’s Frosted, while a top horse who belongs in Grade I races, finished second more often than not this year. 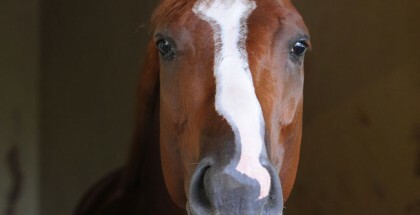 His record shows second-place finishes in the Holy Bull (GII), Belmont (GI) and Jim Dandy (GII), while a horse such as Gimme Da Lute boasts six wins out of nine starts. Both colts are going to attract attention in the Pennsylvania Derby (GII), set for nine furlongs this Saturday at Parx Racing. Somewhat surprisingly, Gimme Da Lute holds the attention of more handicappers on Facebook, while Frosted’s record gives cause for concern. This write-up will provide a fair analysis of each horse, and why Frosted still holds the edge. Quite simply, Frosted’s competition looks miles better than what Gimme Da Lute faced. First of all, scratch out Frosted’s efforts at Gulfstream Park to begin the year. Whether because of surgery, blinkers or other reasons, this colt changed for trainer Kiaran McLaughlin. Frosted then won the Wood Memorial (GI) over a semi-weak field, but the changes made between the Gulfstream Park meet and Aqueduct seemed to awaken him. He backed up the effort with a decent fourth-place finish in the country’s most revered three-year-old race, the Kentucky Derby (GI). American Pharoah, Firing Line and Dortmund finished ahead. In this same period, Gimme Da Lute won a restricted, ungraded stakes race at Santa Anita by over five lengths. He then stepped up and ran third in the Pat Day Mile (GII) at Churchill Downs, losing by exactly six lengths to Competitive Edge. For all the hype Competitive Edge generated, he finished fourth in the Haskell (GI) and an even more troubling eighth in the King’s Bishop (GI). Back to Frosted, he ran second in the Belmont as American Pharoah completed his Triple Crown, and in the Jim Dandy to last year’s Breeders’ Cup Juvenile hero Texas Red. The Jim Dandy came off as a strange race with only four horses, and Texas Red changed from his normal running style to secure a closer position early. Frosted chased behind Texas Red. 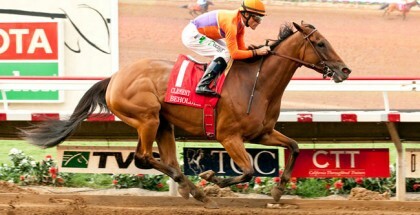 Gimme Da Lute won the Affirmed (GIII) and Los Alamitos Derby (GII) over the summer. In the Affirmed, he defeated Prospect Park and turf horse Om. The Los Alamitos Derby featured Prospect Park again and Kentuckian, a sibling to the precocious Maclean’s Music who ran a 114 Beyer Speed Figure in his career debut sprinting. Kentuckian’s route ability is questionable. After the Jim Dandy, Frosted returned in the recent Travers (GI) at Saratoga Race Course. He gave Triple Crown-winner American Pharoah a hard duel through the middle portion of the race. Meanwhile, Gimme Da Lute won a couple of ungraded Del Mar stakes races at one mile or less. Without looking at speed figures, these two horses are not even comparable. One horse belongs running against the best horses in the country. The other one can barely hold off Prospect Park and Fame and Power. Of course, the speed figures on BRIS tell a different story, and handicappers rightfully should take those into consideration. Even so, speed figures cannot predict what happens when a lower-class horse finds out his usual move is not dominating a Grade I race. 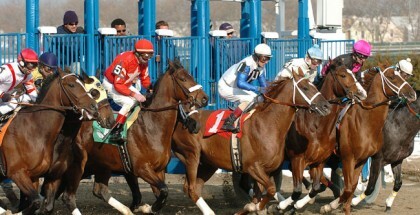 The Pennsylvania Derby looks like a tricky one to wager on. Fans remember trainer Bob Baffert’s success at Parx, and will assume “Bayern Part 2” this weekend. Bayern competed in the Travers and Haskell before taking down this race last year. Gimme Da Lute’s path to victory will be an unorthodox one, if he wins. 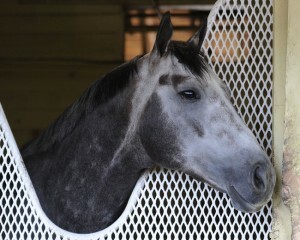 Frosted, while not a unique choice, is the probable winner. 9 Upstart 9-2 Ortiz, Jr./Violette, Jr.